Everybody want to have a dream partner,such as handsome boy or beauty. Will your partner be Stunner or the evil,even her/his looks is outside the confines of human. 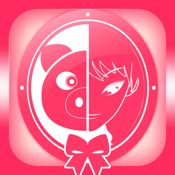 ★ Scan your fingerprint to uncover your true partner by Fingerprint magic mirror. ★ So you can't miss it.